Four members of an organised crime group connected to the supply and distribution of drugs linked to ‘chemsex’ have been convicted. Two women and two men were found guilty today, Wednesday, 20 March at the conclusion of an eight week trial at Inner London Crown Court. 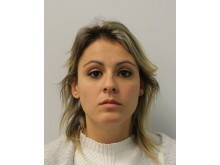 - Suellen Miguez, 34 (26.12.84) of Alexandra Drive Crystal Palace was convicted of 14 counts involving the conspiracy to supply Class A, B and C drugs and removing criminal property from the country. 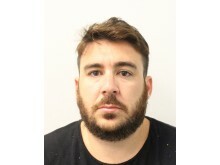 - Carlos Edurardio Libardi Da Silva, 33 (01.10.85) of Durdham Court, Bristol was convicted of 14 counts involving the conspiracy to supply Class A, B and C drugs and money laundering . - Bernardo Henrique Salles, 25 (04.06.93) of Mercier Court, Silvertown was convicted of 14 counts involving the conspiracy to supply Class A, B and C drugs and money laundering. - Isabella Braga Da Silva 21 (28.02.98) of Trelawn Road, Leyton was convicted of 14 counts involving the conspiracy to supply Class A, B and C drugs. Detectives from the Met’s Trident and Area Command led an investigation into the Brazilian gang for five months between March and July 2018. Their enquiries established that the group set up a courier network of more than 43 mopeds to transport and sell drugs across London by using a dedicated drugs line number. They predominantly functioned by renting properties for short periods of time and using them as safe houses to store the drugs before moving onto other addresses every couple of days. Between 25 July and 20 August 2018, the police operation culminated in a series of arrests in Wandsworth and Newham. 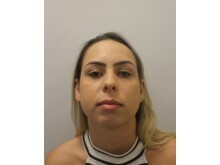 On 25 July, Braga De Silva was arrested near Belmore Street, SW8 after police stopped her beside a car that contained more than £500,000 worth of drugs. Officers also seized £40,000 cash and drug equipment from the vehicle including plastic wrapping and a credit card receiver to handle card transactions. Miguez and Libardi Da Silva were arrested shortly after on 30 July. 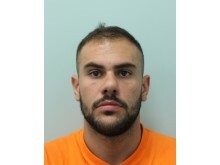 Miguez was seen leaving a self-storage unit in Ingate Place, Battersea in possession of more than £100,000 worth of drugs. It was identified that Libardi Da Silva had dropped Miguez off at the address a short while before and he was quickly located and apprehended on Union Street, SW8. Salles was linked to the gang through police surveillance and was arrested on Wesley Avenue, E16 on the 20 August 2018. Cocaine, heroin, crystal meth, GBL and cannabis worth approximately £3 million was seized following searches at five different storage facilities across London. The investigation established that the gang sold more than £2.5 million worth of drugs between 2016 and 2018. Detective Inspector Andy Durham, said: “Drugs can have a horrendously negative physical and mental impact on users and this sophisticated gang were making huge profits whilst destroying lives. “This investigation saw the largest ever seizure of GBL in the UK. I am incredibly proud of the hard work and dedication shown by my team throughout the course of this investigation which has disrupted a huge network and taken six dangerous people off the streets. + The jury failed to reach a verdict in respect of Andre Alves, 22 (17.11.96) who was charged with conspiracy to supply Class A, B and C drugs. + Shawi Attie, 21 was found not guilty of conspiracy to supply Class A, B and C drugs.